Q-emuLator v3.2.1 is released. 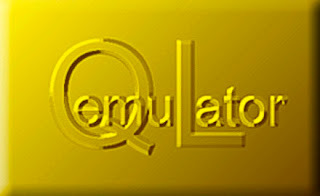 Q-emuLator is a software emulator of the QL, running as an application in the Windows and Mac OS environments. Q-emuLator has an interpreter of the 68008's instructions, and emulates the basic QL's hardware, redirecting input and output to the Mac's or PC's video, keyboard, mouse, disks, sound hardware and serial ports. - Precise QL speed emulation. - Dot matrix printer emulation. - Mount .ZIP files as disks. - Use .QLPAK single-file QL software archives. - Smart full screen upscaling. - Access microdrive images and floppy images. - QL Sampled Sound System. - Improved display emulation when running on Windows 7.